There are a lot of changes coming with the National Disability Insurance Scheme (NDIS) and we will keep you up-to-date and informed with what those changes mean to you and your family. We’ve answered many of the big questions below but if you have a question that hasn’t been covered, answer just send an email to hello@montrose.org.au. The NDIS is a national scheme that aims to make disability support more equitable and provide people with a disability greater control and decision making regarding their supports. The NDIS is managed by the National Disability Insurance Agency (NDIA) which is a legislated, independent launch transition agency. The NDIS will provide individual funding packages to people who meet eligibility criteria. Only people who live in areas where the NDIS is currently being provided can register. People can apply by completing an Access Request Form. In many cases, Queensland’s Disability Services will work with current providers to directly contact people who are already receiving support through Disability Services funding. 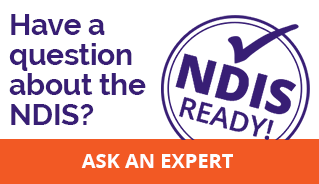 How is My NDIS Funding Determined? Eligible people are called “participants” and a planning assessment is undertaken by the NDIA to identify the participant’s goals, aspirations, strengths, capacity, circumstances and context.It will also assess activity limitations and support needs created by their disability. Supports are about achieving goals and aspirations not about the type of disability, so two people with the same disability maybe assessed very differently as it is based on functional needs and what other supports are available to them. The NDIA will use this assessment to determine how much funding they will provide. Planning is undertaken yearly but a review can be requested if a person needs change. Funding is not means tested and does not affect disability support pensions. What Type of Supports Can I Get Through NDIS? The NDIA has stated that there will be “no disadvantage” for people with a disability when transferring to the NDIS. This relates to the overall outcome for the person, not the amount of support or funding they will receive. For example, purchasing a piece of equipment might mean that a person may not require as much assistance, and therefore, would not need the same amount of funding for a support worker. The amount of funding may be the same, less or more than you currently receive. There are three options for managing plans and funding. A participant may choose one option or a mixture of any options. The participant can choose to manage the financial and administrative aspects of their plan and funding. What Does the NDIS Mean for Montrose? Montrose Therapy and Respite Services is preparing for the changes for our organisation and clients. Montrose currently receives block funding from the Queensland Government to provide services. As people receive their individual NDIS funding, block funding will be gradually withdrawn until organisations will totally rely on income from people purchasing their services from them. The NDIA has published some fact sheets that may be helpful. You can find them by clicking the button below.